N, SN: Links to Necrologies. During the administration of M.W. William Sewall Gardner (1869-71) there came a threat to our relations with the Grand Lodge of Chile. Our Bethesda Lodge had been chartered in Valparaiso, Chile, in 1853 when there was no Grand Lodge in Chile or in any country on the Pacific Coast of South America. On the advice of the special District Deputy in Chile, the Grand Lodge of Massachusetts recognized the Grand Lodge of Chile, the first grand jurisdiction to take such action. Later the Grand Lodge of Massachusetts gave a dispensation to another Lodge in Valparaiso under the name of Aconcagua (1865-69) and received a request for a charter in 1871. However, a letter had been received from the Grand Lodge of Chile which was warm and polite, but with a definite "no trespassing" sign. It conceded the right of Aconcagua Lodge to use the English language but I insisted its obedience to the Grand Lodge of Chile. The latter grand jurisdiction based its right upon the fact that it worked under the Scottish Rite and the Grand Lodge of Massachusetts under the York Rite. Therefore, according to a Scottish Rite Declaration in Paris in 1834, there had been a jurisdictional trespass. The matter was amicably settled between the two Rites and to the satisfaction of the Grand Lodge of Chile. Aconcagua Lodge remained in its I domain and the two grand jurisdictions have worked in peaceful harmony ever since. In 1876 a petition was presented to the Grand Lodge of Massachusetts for a Lodge in Santiago, Chile, under the name of Huelen Lodge. Charter was granted. In 1884, dated April 9, a dispensation was granted to 15 Brethren of Huelen Lodge to have a new Lodge called St. John's Lodge in the city of Concepción. We have worked in harmony ever since. The adjoining page, submitted by R.W. 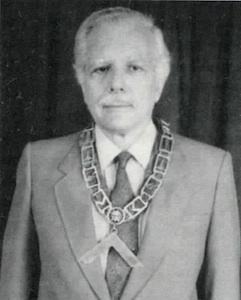 Oscar Gibson of Las Condes, Santiago, Chile tells a story few Massachusetts Masons know about. Under the jurisdiction of the Grand Lodge of Massachusetts, Lodge Bethesda was chartered in Valparaiso in 1853; Huelen Lodge in Santiago in 1876, and St. John's Lodge in Concepcion in 1884. For over 100 years the three Lodges have worked in the territory of the exclusive jurisdiction of the Grand Lodge of Chile, with only the tacit brotherly consent of this Grand Lodge. Eventually, other Grand Lodges considered that this situation precluded the Grand Lodge of Chile from being fully sovereign in its own territory which caused discomforting circumstances. 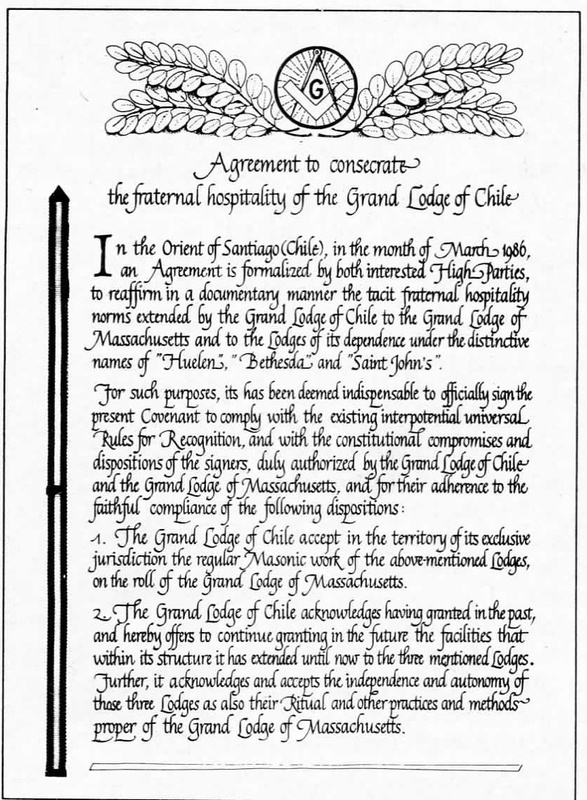 This led to the signing of an Agreement reaffirming in a documentary manner the fraternal hospitality extended by the Grand Lodge of Chile to the Grand Lodge of Massachusetts, and thereby to its three long established Lodges in Chile. R.W. Oscar Gibson - Chilian citizen, Raised in Si. 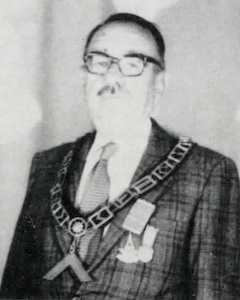 John's Lodge in 1940; affiliated Huelen Lodge 1943, Master 1963, 1964, 1976. 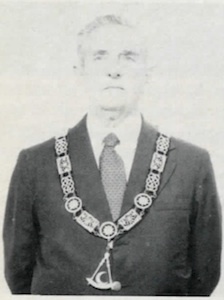 Appointed D. D. G. M. 1978. Wor. Allan A. Phillips was born of British parents in Valparaiso, Chile. 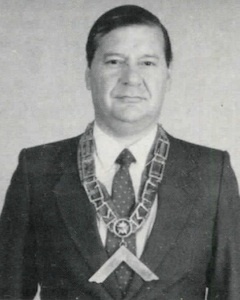 Raised in Bethesda Lodge 1945; Master 1977-78, 1987-89. Wor. Arthur Ehrlich is a U.S. citizen. Raised by his father in Zeredatha Lodge, Brooklyn, NY; affiliated Heulen Lodge in 1982 and serving as Master 1988-89. Wor. Daniel Cerda is a Chilean citizen. Initialed Lautaro No. 58 in Concepcion s neighboring port of Talcahuano; Passed and Raised in Lodge Luz Y Esperanza No. 11, city of La Serena; affiliated St. John's Lodge 1981. Serving as Master 1988-89. This page was last modified on 16 October 2016, at 14:23.